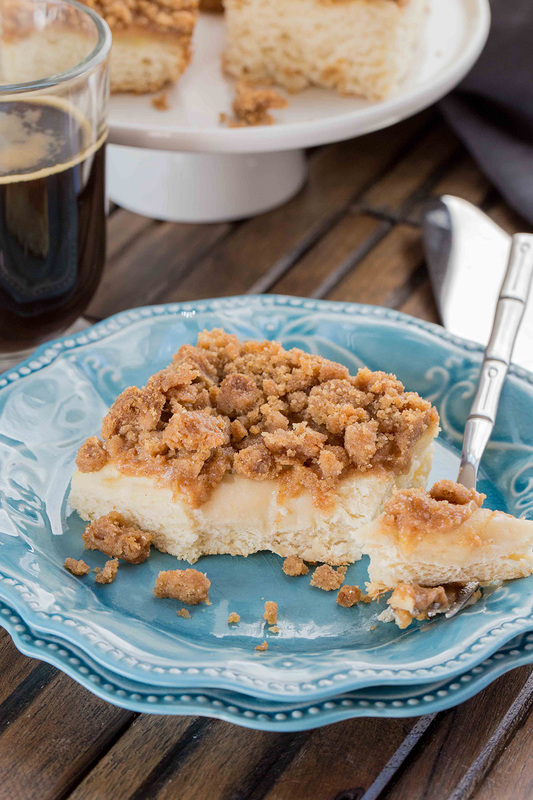 Apple pie lovers will appreciate this moist, rich coffee cake. All the familiar flavors are here - apples, brown sugar, cinnamon, butter and a hint of lemon. In stand mixer bowl, add 1½ cups flour, yeast, sugar and salt; combine using paddle attachment on low speed, mix well. In saucepan or microwave-safe dish, heat water, milk and butter until warm (120-130°F; butter does not need to melt). Add to flour mixture. Blend at low speed until moistened; beat on medium speed for 3 minutes. By hand gradually stir in enough of the remaining flour to make a soft batter. Cover bowl with plastic wrap and foil. Refrigerate for 4 to 24 hours. Peel and slice apples. Sprinkle with lemon juice; toss lightly. Set aside. Prepare Topping: Combine flour, brown sugar, cinnamon and lemon rind. With pastry blender, cut in butter until consistency of cornmeal. Spread half of batter evenly into two greased 9-inch square cake pans. Arrange half of apple slices in three rows on batter in each pan; pressing in gently. Sprinkle Topping over apples. Cover; let rise in warm place until double, about 1 hour. Bake at 375°F for 25 to 30 minutes until golden brown. Cut in squares. Serve warm.